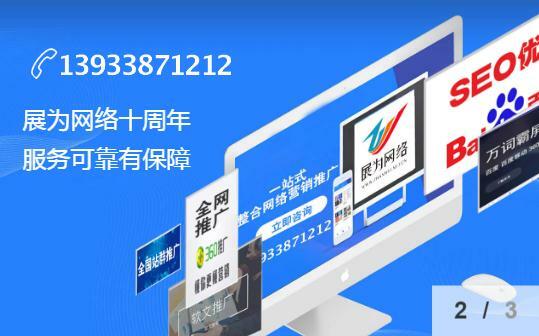 广西桑拿网,南宁夜生活,南宁桑拿论坛 | Powered by Zfzqd! Some 200 protesters were gathered outside the court, chanting slogans against Shafiq. Egypt’s top court will on Thursday examine a law which could disqualify one of two presidential candidates, in a legal crisis that threatens to derail an already tumultuous transition from Hosni Mubarak’s rule. The Supreme Constitutional Court is to examine the legality of the political isolation law which bars senior officials of the Mubarak regime and top members of his now-dissolved National Democratic Party from running for public office for 10 years. The law applies to those who served in the 10 years prior to Mubarak’s ouster on February 11, 2011 after a popular uprising. If approved, the legislation will mean disqualification for Ahmed Shafiq, Mubarak’s last prime minister, who faces Muslim Brotherhood candidate Mohammed Mursi in a presidential runoff on Saturday. Shafiq was initially disqualified from standing in the election in accordance with the law passed by the Islamist-dominated parliament in April. But in late April the electoral commission accepted an appeal from Shafiq against his disqualification and the case was referred to the court. On Thursday, the Supreme Constitutional Court will first examine whether the electoral body had the right to refer the case, and if so, will then look into the legality of the text. The hearing comes two days before the landmark presidential election to choose a successor for Mubarak. In the first round of voting on May 23 and 24– which saw 13 candidates compete for the top job– Mursi won 24.7 percent of the vote, slightly ahead of Shafiq’s 23.6 percent. The race has polarised the nation between those who fear a return to the old regime under Shafiq’s leadership and those wanting to keep religion out of politics and who accuse the Muslim Brotherhood — which already dominates parliament — of monopolising power since last year’s revolt. At Thursday’s hearing, the court will also examine a High Administrative Court appeal over the constitutionality of aspects of a law governing legislative polls between last November and February that saw Islamists score a crushing victory. The Group of Eight top economies come together as Greece faces its second election in just six weeks, putting its eurozone future in doubt and dragging down Spain, where the government is struggling to keep its banks afloat. “Time is clearly running out,” London-based analysts Capital Economics warned in a note over Greece’s continued political paralysis. “If the government does not meet the conditions required to receive the next tranche of the bailout, it could run out of money before the end of the summer,” they said, referring to Greece’s EU-IMF loan lifeline. “It has become obvious that the period up to the Greek elections will be volatile and nervous,” said the debt research wing of Dutch bank ING. “Speculation regarding a (Greek) eurozone exit will continue and there is hardly anything that can be done about it,” they said. European stock markets posted sharp losses, mirroring drops in Asia, though Madrid rose in an illustration of the extreme volatility at work. Money flowed again into Germany, seen as the safest of bets against the risk of contagion from Greece, with investors worried that if Spain needs a bailout, the EU will be hard put to stump up enough rescue funding. Ratings agency Moody’s downgraded 16 Spanish banks late on Thursday, citing concerns over the crisis, while figures showed the economy slumped in recession and bank bad loans at an 18-year high. Germany sought to be reassuring on Friday, saying it had no reason to doubt that Spain could help its banks without seeking outside aid — the problem Ireland faced when it had to be bailed out in 2010. German Chancellor Angela Merkel meanwhile called for a stable Greek government to be formed quickly after elections June 17 in a telephone call with President Carolos Papoulias on Friday. Merkel “repeated the German position that we are waiting for the elections and that it is the wish of all European partners… that a government is formed as quickly as possible,” a German spokesman said in Berlin. In Athens, the prime minister’s office said the chancellor had in addition suggested the holding of a referendum alongside the June 17 vote, apparently with the aim of making the poll absolutely decisive. Merkel “conveyed thoughts on holding a referendum alongside the election, on the question of whether Greek citizens wish to remain in the eurozone,” the premier’s office said in a statement. But Merkel’s spokeswoman denied the report. “The information reported that the chancellor had suggested a referendum to the Greek President Carolos Papoulias is wrong,” she said. Greek voters rejected painful spending cuts in a May 6 poll and could do so again June 17, raising concerns about the fate of the latest 237 billion euros ($300 billion) EU-IMF bailout package. In Washington French President Francois Hollande said Greece should remain in the eurozone as Obama noted after talks that the region was of “extraordinary importance” not only to the people of Europe but to the global economy. Latest opinion polls in Greece showed meanwhile that the conservative New Democracy party, which supported the EU-IMF rescue terms, would have 23.1 percent of the vote, up from the 18.85 percent it won on May 6. The radical left Syriza party, which opposes the deal, was on 21 percent, up from its second-place finish with 16.8 percent, with analysts expecting the vote to turn into a straight fight over Greece’s future in the eurozone. Many EU leaders insist that there can be no change to the terms of the debt deal but have also begun to allow some room for movement, especially as Hollande won power this month on a growth pledge. European parliament chief Martin Schulz warned that a Greek exit from the eurozone could see its economy collapse in days, with untold consequences. “Many people believe that it would be the end of a negative cycle but for me it would be the beginning of an even more negative cycle,” Schulz told German radio from Athens. “We are all in the same boat,” Schulz added after a meeting with conservative leader Antonis Samaras. In Athens, a caretaker government took office on Thursday after the May 6 vote left Greece in limbo. Since there is no provision for an orderly exit from the 17-nation currency bloc, the prospect is for chaos if Athens cannot stick to the tough terms of the latest bailout deal. It’s been 200 years since someone defaulted on home loan payment in Demark and the unique model uses the same ‘toxic’ assets that led to the sub-prime crisis. Danes have the reputation of being life-loving, friendly people with a developed sense of environmental awareness. They aren’t known as particularly talented finance engineers – but this could all change. In the first four months of 2012, the OMX-C-20, the leading index on the Copenhagen stock exchange, took a sprint forward that left everybody else well behind. The Danes pride themselves on being the best in the world in one very specific area: mortgages. They have a good reason for being so proud: the Danish mortgage model is truly worthy of admiration. It was created in 1795, following the Great Fire in Copenhagen. In its 200 years of existence, the mortgage bond market has never known a single case of default. Yet the market is relatively huge: the country’s 5.5 million citizens have a collective mortgage debt of over 320 billion euros, which is about 50% higher than the national debt. By way of comparison, Switzerland with its 8 million people has 800 billion Swiss francs (666 billion euros) in property loans, amounting to 3.7 times the national debt. And while Scandinavians in general have the reputation for being pro-state, the Danish mortgage bond market is a real market – but one that’s intelligently constructed and sensibly regulated. It’s based on a few simple principles. House owners take out long-term loans, with an 80% lending limit for residential property and 60% limit for business real estate. The terms of the mortgages are not negotiated between a bank and the borrower. Rather, financial institutions act as brokers, who bundle loans into obligations and sell them on to investors who buy directly or via general, specialized funds. The mortgage institutions earn a small margin on these transactions. Bundling mortgages and selling them on the market as obligations? That idea should get a few alarm bells ringing. Because exactly that is the underlying idea behind Collateral Debt Obligations, the nefarious CDOs that made the American subprime market possible and led to the irresponsible sale of over-valued real estate to under-capitalized wannabee homeowners. CDOs relieved the banks of their control duties and contributed significantly to the US real estate bubble, the bursting of which unleashed the world financial crisis. Nowadays, CDOs are considered toxic junk that responsible investors won’t touch. Yet this system is supposed to work in some miraculous way for the Danes? The Danish mortgage bond market works because it differs from the failed American bond experiment in critical ways – the main one being the “balance principle” which stipulates that the needs of both lenders and borrowers have to be in synch. In other words, a borrower can only get a mortgage after a bank has established under what terms he or she could reasonably be expected to service that loan, and if the lender is agreed. Selling the debts to third parties is forbidden, as is granting mortgages to borrowers with low credit. Added to the 80% limit there is enough protection to prevent a U.S.-style real estate crisis. Yet there’s also enough room within the system to be able to use market advantages. Danish homeowners don’t have to opt for long-term mortgages with fixed interest or LIBOR rates to get cheap interest rates. The can refinance, or pay a mortgage back and then take out another one at a lower rate. As a rule, the return on Danish mortgage obligations is 100 to 150 basis points higher than the return on Danish government bonds. The Byron Bay Bluesfest has wrapped up with the announcement of a new event that will bring together the world’s first nations artists. As people from all over the world sampled the vast range of blues music on offer, an all-new Indigenous festival was announced, and it was an immediate hit with one of the high-profile international artists. The festival, Boomerang, is the brainchild of owner and curator of Bluesfest, Peter Noble and renowned creative and festival director, Rhoda Roberts. “We’re really excited — Boomerang festival is opening here on the Bluesfest site from the 4th-6th October this year,” said Ms Roberts. “It really is a cultural immersion. It’s about celebrating world cultures, mother tongues and first instruments. Searching for Sugarman’s Rodriguez, who expressed interest in performing at Boomerang, is a strong supporter of an international indigenous festival. “As a musician I think these kind of events happen… for the music exchange of course, but also for the cultural exchange,” he said. Merindah Donnelly, Indigenous Program Officer for the Australian Council for the Arts, said the main focus has been supporting the artists and extending the life of their work beyond one show. Ms Roberts says the festival has taken a few years to get off the ground, but they are all really excited. “It’s really unique, it’s celebrating the oldest culture, Aboriginal culture in Australia. Plans for the new festival were unveiled at the weekend and tickets have already gone on sale. The new National Rugby League (NRL) season has quickly shown that the use of performance enhancing drugs is not the only ongoing threat to player welfare. The sight of an unconscious Ashley Harrison from Gold Coast Titans, being stretchered from the ground after being knocked out was a vivid reminder of the importance of properly managing concussion in “collision sports”. Since 2011, the NRL has made it mandatory for any player who may have suffered a concussion to be removed from the field and to be examined by a medical practitioner. The guidelines prohibit any player diagnosed with concussion from continuing to play on the same day. Any breach of this “concussion exclusion rule” may be sanctioned with fines levied on the club or coaching or medical staff. The NRL has included these concussion guidelines as part of the official rules of the league. Last week, the Australian Football League (AFL) hosted the Concussion in Football Conference 2013, which discussed an updated version of the global protocol for managing concussion in all sports. At the conference, the chief medical officer of the NRL, Dr. Ron Muratore, presented an overview of how the football code had been managing concussion over the last two years. He also explained the reasons for his often-made statement that concussion is taken very seriously in rugby league. Muratore also explained the way in which the NRL monitors compliance with its concussion guidelines. Currently, the chief medical officer may investigate incidents of suspected concussion to ensure that the guidelines were correctly followed. His findings are compiled in a report and one might expect the expert medical opinion of the NRL’s chief doctor is given weight by the code’s administrators in deciding whether to impose sanctions for failure to comply with the guidelines. To date, no club, doctor, or trainer has been fined for breaching the concussion guidelines. Is this because medical and coaching staffs have fully complied with the concussion guidelines? Or does it mean that the monitoring of compliance has been less than rigorous? Anyone who saw a concussed Robbie Farah remain on the field for the whole of last year’s State of Origin decider may well wonder. During a public question-and-answer session that followed his presentation, Muratore was asked if he had written any reports in which he concluded that a team doctor or trainer had, or may have, breached the concussion guidelines. He said this had been the case on “two or three occasions” but made no mention of any consequences. Why have no sanctions for failure to comply with the concussion guidelines been recorded (or, if imposed not, made public) by the National Rugby League? To whom were Muratore’s reports sent within the NRL’s administration? Was the football code’s head of football operations aware of each of these reports? If he was not, this raises serious questions about who is responsible for ensuring that concussions are managed according to the NRL’s code. In the interests of transparency, all investigations of possible breaches of the concussion guidelines in the NRL (and the reasons for findings) should be made public. For some, the lack of any fines or other substantial sanctions raises the suspicion that the NRL is reluctant to acknowledge that cases of concussion may have been mismanaged. Sanctioning any clubs found to have breached the concussion guidelines would be the best way for the NRL to demonstrate its commitment to managing concussion. It’s a step that would reinforce the necessity for the thousands of amateur and junior rugby league players to take the issue of concussion seriously. If the NRL is, as it claims, putting player welfare first, then it must ensure that its clubs plays by the rules for managing concussion. Bradley Partridge receives funding from NHMRC and ARC. Wayne Hall receives funding from NHMRC via an Australai Fewllowship to work on the ethical implications of addiction neuroscience and he has received funding for research from ARC on topics unrelated to the subject of the article. Zimbabwean Prime Minister Morgan Tsvangirai has warned President Robert Mugabe not to “steal” a crunch vote next week, so that his veteran rival can exit office with dignity. “Mugabe stole an election in 2002, he stole the election in 2008. This time we want to tell him that he will not steal again,” Tsvangirai said to thousands of supporters on Saturday. After two previous polls condemned by observers as unfair, Tsvangirai is vying to end Mugabe’s 33-year rule and a four-year shaky coalition forced after chaotic elections in 2008. Speaking in the farming town of Chinhoyi, 100km northwest of the capital Harare, he hit out at the electoral authority after a disorganised special early vote and the absence of an electoral roll. “I have not been given the voters roll, three days before the elections,” Tsvangirai said, saying this was a loophole for rigging. He again accused the Zimbabwe Electoral Commission (ZEC) of printing eight million ballots – instead of 6.2 million, the number of registered voters. “I am saying this in full view of observers,” he said. The lead-up to the July 31 election has been marred by flawed voter registration, chaotic early polling for security forces, and lopsided campaign coverage in state media. A special early vote held on July 14 and 15 for police officers and soldiers saw polling stations open without ballot papers, leaving thousands unable to cast their vote. The country’s Constitutional Court on Friday ruled that the thousands of officers who were unable to vote due to the disorganisation, will get a second chance to cast ballots during the Wednesday general elections. Tsvangirai claims his Movement for Democratic Change (MDC) party had also discovered that some of the ballot papers that were cast were later thrown away. “You (ZEC) messed up the special vote of 70,000 people. In two days you could not handle those people,” he said. Today’s Council of Australian Governments (COAG) meeting over the so called Gonski “reforms” to school funding, is the Prime-Minister’s last desperate throw of the dice to show she can deliver a big policy promise. The Gillard government has supported the Gonski proposals for increased funding for schools and a new spending formula, which would increase Commonwealth involvement in school education – an area that lies totally within state constitutional responsibilities. By framing education “reform” almost totally in terms of increased spending, despite Australian and international evidence that extra money in itself will not make the difference, the Gillard government is playing two political games at COAG. First, it is saying to the federal opposition that if they do not support these changes and especially the increase in spending, they must be against education. Remember how at the 2007 federal election the Rudd-led Labor opposition scored well over the then Howard government with the “education revolution” catchcry? The government is also seeking to force the states, especially those with Liberal premiers, to support the Gonski-inspired changes. The aim is to put them offside with the federal coalition opposition, and also to make an increased contribution to education. And if the states do not come on board, especially the Liberal ones, they will be painted not only as wrecking education and denying the children at their schools extra funds, but also as being too partisan. This is especially tricky in a policy area that is seen as being too sensitive for such games. Because education policy is complex, and the quality dimension that should drive all education policy even more so, it is difficult for the media, stakeholders and the wider public to get past the debate on the money and focus on what’s really needed to improve education quality. That is, where funds should be spent to have any chance of making a difference to education outcomes, and how much these measures would cost. If the states do sign up on Friday – or by the extended deadline in June – they should seriously consider what is at stake. They already know what is at stake politically in refusing to sign, but the costs of agreeing may be more severe in the longer term. It will mean more power divested to the Commonwealth, probably forever. It will mean more regulation – the School Improvement Plans could see up to 10,000 individual plans supervised by an expanded Commonwealth bureaucracy. If the School Improvement Plans are not onerous, but little more than a list of “tick a box” Commonwealth demands (like the obligation on every school to teach an Asian language), or if they are simply lowest common denominator targets, then we can all ask what has it all achieved? With WA already saying they won’t join, the Gillard government needs to get the three most populous states of NSW, Victoria and Queensland (which are also all Liberal states) to agree. Otherwise, the whole exercise is a non-starter. The issue to watch is whether the states can rise, for once, above the bait of money and argue a policy case for not joining. And in this policy area the states have a case to argue. In many instances, the state education reform agendas are more advanced, more progressive, more focused, and more likely to have an impact on education outcomes than the Commonwealth’s big bucket of money and headline aspirational statements. Look at how Victoria, Queensland, even NSW have been focusing on teacher quality – are they able to use new Commonwealth money to finance their own policies, which involve some of the “hard decisions” the Commonwealth hasn’t been prepared to take? Will they have to give those up? The states will also need to consider at COAG how much of the Gonski money is new money – it’s too easy to conceal and distort reality in school funding figures, especially with long time horizons. Indeed, it’s worth unpicking the details of the supposedly lucrative deal Peter Garrett is offering to state and territory education ministers. First, the figure the government attached to the package was A$14.5 billion over six years which includes only around $9 billion from the Commonwealth, with the rest down to the states. States and territories would then be required to commit to annual increases in their own funding of government schools by a minimum of 3%. But A$2.34 billion of this comes from rolling over the National Partnerships Program funding that was due to run out next year. There’s also other schools programs that are probably encompassed in the Commonwealth figure. You can see why the package has been described as “Gonski Lite”, it consists of around a third of the amount the Gonski panel recommended for a comparable period. The original recommendations saw A$6.5 billion a year in extra funding, shared between the Commonwealth and the states – around A$39 billion across six years. Will the premiers and prime minister discuss how the reforms are to be funded, especially the proposed A$2 billion cuts to universities? Will universities be forced to quarantine teacher education from this so they can adequately support poorly prepared entrants to become quality graduates? Politically, there is another game in town. Almost everything the Gillard government does in the run up to the September election is to act like a government that knows it is not going to win. This means initiating actions that would make it hard for the incoming Abbott government to undo. If all these proposals go through COAG it gives a green light for legislation to go to parliament and if the Liberals do not win control of the Senate they will be stuck with an expensive program for which they will have to find the funds and one that is intrusive on their Liberal state colleagues. The Gonski reforms have got to COAG after an appalling policy development process; a poorly conducted public inquiry in Gonski; slogans parading as policy; a refusal to look to the evidence about quality education; playing the states off against each other and refusing to approach this area as a shared responsibility that appreciates the limits and roles of the Commonwealth and states. It’s hard to see how, from all of this, we’re likely to see any real improvements in Australian education. Scott Prasser does not work for, consult to, own shares in or receive funding from any company or organisation that would benefit from this article, and has no relevant affiliations. Austerity measures are biting harder than ever in Greece, with people losing their homes and jobs and becoming more and more desperate. And they’re turning in increasing numbers to the far right Golden Dawn party, which lays the country’s troubles firmly at the feet of immigrants and Greek politicians. On tonight’s Dateline at 9.30pm on SBS ONE, Evan Williams reports from Athens on the party’s rise to become the third biggest force in Greek politics, but also the stark similarities with the German Nazis. As well as winning seats in parliament, they’ve also started handing out food aid and donating blood… but only to people who can prove their Greek citizenship. “The life of the Greeks has changed drastically,” Golden Dawn deputy commander Ilias Panagiotaros tells Dateline. “More than two million illegal immigrants in a population of ten million people – which is an enormous number – they literally do whatever they want and they remain unpunished. But what some find more disturbing than the rhetoric is their vigilante action on the streets… Evan looks at evidence of supporters taking the law into their own hands to attack and persecute immigrants. Golden Dawn members have even entered hospitals demanding that staff prove they’re Greek. Now, the party says its international support is growing and it even wants to open an office in Australia, even though the party’s already been told it won’t receive a warm welcome. See Dateline’s insight into the rise of the far right tonight at 9.30pm on SBS ONE, and read more now on the Dateline website. Britain vs Australia in Olympic cycling: is there a hometown advantage? There is perhaps no greater sporting rivalry than that between Great Britain and Australia – it’s like the little brother trying to knock off his older sibling in any pursuit possible, simply for the glory of bragging rights. And track cycling is one of the most hotly contested of those pursuits. In sport psychology literature, several researchers have tried to determine whether a home advantage exists when it comes to elite-level sports. The answer, put simply, is yes, there does seem to be an advantage, particularly when you look at home winning percentage – the combination of games won at home versus games lost at home. The figure provides a quantitative measure for level of success at home based on winning and losing. Researchers have studied sports such as basketball, baseball, ice hockey and soccer. Most have found evidence that the home team wins more often. But most of the focus was on using winning percentage as the indicator for advantage, and some researchers have called for investigation into other factors that might contribute to the findings. Home winning percentage explains how well a team plays at home, but it doesn’t always account for whether a team plays and wins well when on the road. (For example, what does it mean if you have seven wins and no losses at home versus 11 wins and two losses away? Is home really an advantage here?). The other variable that has rarely been mentioned is the type of event being studied. Little – if any – attention has been given to international events such as the Olympics. Before we cry foul at the apparent home advantage our British friends may have, perhaps we should consider the whole picture. Specifically, let’s look at what being at home might mean for the might of the British cycling machine when hosting the strength of the Australian cycling program. The research mentioned previously looked at teams that have won championships such as the NBA (National Basketball Association) and the NHL (National Hockey League). These sports are played nationally, across some 80 or more games and multiple championship games. The Olympics is quite different: it’s an international mega-event. How do findings on hometown advantage relate to an event that occurs across only a few races (or even one race) and happens only once every four years? An Olympic cyclist isn’t just competing for his or her country: he or she is also competing for something that won’t come around again the following season. Some NBA players have won five championships, and played in several other championship games, yet few Olympians return more than twice. There are (potentially) fewer opportunities to win. With this simple idea in mind, it’s perhaps little wonder this historic event carries such prestige. But with prestige often come increased expectations. Perhaps most relevant to cycling enthusiasts is the research on World Cup soccer and home advantage. This looked at the mechanisms that may lead to advantage, and argued that travel (across time zones), cultural differences in food and language, and familiarity with the playing facility all play a part. Focusing on these variables could help us get a fuller picture when we try to figure out whether Britain’s cycling team will have a home advantage. Will travel, and being in an unfamiliar stadium, affect the Australian cycling team? Teams will have been in Europe for more than a month before the games. In fact, in professional road cycling many of our Aussie cyclists are even based in Europe during the northern summer season. Travel doesn’t seem to be a major disadvantage. Language, culture and food are unlikely to be an issue. I think the eating options of a developed country, and the kitchen in an Olympic village (coupled with team dietitians) mean foreign riders won’t fear being starved of their typical dishes. Research is important but it isn’t everything. We should also look at anecdotal evidence, given the lack of empirical research on home advantage for the Olympics. The previous two Olympic campaigns and events in between are perhaps a good starting point. The might of the British cycling machine was at its best on the track in Beijing (not at home) and the Australians were incredibly strong in Athens (not at home). Australian cyclist Anna Meares dominated the track world championships in 2011; they were held in the Netherlands. Australian Shane Perkins won his first Men’s Keirin world title at the same event. Cadel Evans won the Tour de France in 2011, and the Green Edge cycling team has propelled its members to the front of many European events. It seems plausible that winning is indeed possible in Europe. The team pursuit is an event that has been like an Ashes battle between Australia and Great Britain. In February, at the World Cup, the Aussies took gold in the Olympic Velodrome that will host the Games. The biggest British win on our soil was at the World Championships in Melbourne earlier this year (see video above), in which Britain beat Australia by a tenth of a second. Teams and individuals may be more likely to win at home, that’s true, but equally they will be most likely exposed to more spotlight, home expectation, and potential scrutiny than many of the foreign visitors. Some studies have even found that home advantage disappears as the importance of the event increases. I’ve heard countless athletes talk about the pressure of performing at home, and how relieved they were to be playing away from the eyes of significant others. For our British friends, the eyes of all of their significant others and a whole nation will be closely upon them. Those competitors who don’t find this helpful will likely experience more anxiety than ever before. Ultimately, I think the advantage will lie in the athlete’s perception of advantage and disadvantage. Aussie women and men have won in Europe before (even at the same venue). They speak the local language, and will be well adjusted to the time-zone difference. The Aussies and the British are evenly matched by form. So now we will have to see if being at home feels like a burden or a turbo-boost. Geelong have strengthened their hold on an AFL top-two spot and given struggling St Kilda a horror night with a 101-point thrashing but lost ruckman Dawson Simpson to a knee injury. The Saints lost skipper Nick Riewoldt and key defender James Gwilt to injury during Saturday’s 21.11 (137) to 5.6 (36) belting at Simonds Stadium, in which the Cats kicked the last 15 goals. Elusive Cats half-forward Steven Motlop starred with four goals and 29 touches, skipper Joel Selwood had three goals and 32 disposals, while Tom Hawkins kicked five majors. James Podsiadly snared two, including one from a spectacular high-flying mark late in the second quarter. The Cats had already regained second spot when Essendon’s percentage took a hit with their belting from Hawthorn on Friday night, but Saturday night’s comprehensive victory further bolstered their advantage over the Bombers. The only blight for Geelong, who were rebounding from last weekend’s fade-out loss to Adelaide, was the injury to Simpson, who had to be stretchered off after landing awkwardly when he contested the opening bounce of the second quarter. Geelong were hopeful it was only a dislocated kneecap and not ligament damage, which would mean a much longer absence. Riewoldt ended the game a spectator after limping off with what appeared a left foot or ankle injury in the third term. The Saints’ threadbare defence, already missing Sam Fisher and Sam Gilbert, was also further hit, when James Gwilt was subbed off with a knee injury midway through the second term. It helped the cause of Cats key forwards Hawkins and Podsiadly. But it would have been a tough night for the Saints’ defence anyway, given Geelong’s midfield dominance, particularly after quarter-time. The Cats entered their attacking 50m arc 63 times to the Saints’ 26 for the match. Selwood and Steve Johnson were creative in the midfield, Andrew Mackie and Corey Enright provided drive off halfback. The Saints had started the game brightly, with four goals to two in the first 17 minutes, with Jack Steven, Leigh Montagna and Nick Dal Santo all prominent, but the Saints managed just one more goal for the night as the Cats’ greater depth of contributors told. Cats coach Chris Scott said the club’s medical staff were confident Simpson hadn’t injured his anterior or posterior cruciate ligaments, meaning he might play again this year. “The bad news is there appears to be something significant there,” Scott said. Scott was heartened by the way Nathan Vardy carried the ruck load in Simpson’s absence and by the Cats’ performance generally. Saints coach Scott Watters said Gwilt was believed to have bone bruising to his knee while injuries to Riewoldt (foot) and Lenny Hayes (hamstring) needed further assessment. “We have no excuses. They (Geelong) were very very good tonight,” Watters said. Defending champion Ernie Els is 25-1 to retain the title at a course where he lifted the Claret Jug 11 years ago and U.
S. Open winner Justin Rose is 20-1 to become the first English winner of the tournament since Nick Faldo in 1992. Woods, who has not won a major for five years, is excited by the challenge of playing the course in fine weather conditions, a sharp contrast to 2002 when his hopes at Muirfield were scuppered by a third-round 81 in driving wind and rain. “I’m looking forward to it,” the American told a news conference. “What a fantastic championship on one of the best venues. Woods said he was feeling very good about his form. “I’ve had a pretty good year so far, won four times even though I haven’t won a major,” he added. Els, 43, rolled back the years at Lytham 12 months ago, taking advantage of Adam Scott’s meltdown over the closing holes to seal his fourth major championship. “I just feel this is a great golf course,” the South African said. “It reminds me a little bit of Lytham. American Phil Mickelson, four-times a major champion, won last week’s Scottish Open and is 20-1 to win his first British Open, the same odds as Rose and Australian Scott who made up for his Lytham disappointment by winning this year’s U.S. Masters. Rose leads the British challenge as the nation’s golfers bid to ride a wave of sporting success that has also brought a rare rugby series win for the British & Irish Lions, Andy Murray’s stunning Wimbledon triumph and a nerve-jangling victory for England in a dramatic first Ashes test. “Rose is a strong contender,” said Faldo who is making a rare appearance in the Open this year. Former world number ones Luke Donald and Lee Westwood will also be flying the British flag as they bid to end their long waits for a first major crown. Twice major winner Rory McIlroy is alongside Westwood as a 25-1 shot to win the Open. The Northern Irishman, however, has struggled since switching clubs at the start of the year and bookmaker Ladbrokes is also offering odds of 4-1 on him missing the cut. The sun is expected to shine throughout the four-day tournament and, if it does, Woods will be a happy man as he wrestles with the unique challenges of links golf. “I fell in love with links golf when I came here 17 years ago,” he said. “Because we play generally everywhere around the world an airborne game where you have to hit the ball straight up in the air and make it stop. “Here it’s different,” added Woods who won his third and last British Open title at Hoylake seven years ago.